The news of deficit monsoons this year has once again left the Centre worried. A concerned prime minister chaired a high-level meeting on June 8 where he emphasised the need to quickly augment the irrigation capacity of the country. But he conveniently kept quiet about his pet programme on micro irrigation that was announced during the 2014 Budget with a fund allocation of Rs. 1,000 crore. Two budgets later, the Pradhan Mantri Krishi Sinchai Yojana (PMKSY) that had the tagline “each drop to every field” is nowhere close to a roll-out. In fact, officials at the Union agriculture ministry, which is the nodal ministry, say that if there are no further delays, the ministry can at best roll out a pilot of the scheme in 100 districts by 2017. PMKSY aims at connecting every field in the country with micro-irrigation facilities through either existing waterbodies in a village or with new waterbodies to be created under different schemes. A year later, the ministries have not even carried out mapping of existing waterbodies at the village or panchayat level, which is a pre-requisite to start planning. J P Mishra, agriculture adviser at niti Ayog, says the absence of primary data and spatial study regarding existing waterbodies is the main hurdle. “We have Census data (which gives the number of waterbodies) but do not have spatial data (which gives the exact locations),” says Mishra. A rough estimate based on the latest data available with the agriculture ministry suggests that the country has 139 million hectares (ha) of ultimate irrigation potential out of which only 92 million ha is getting irrigated under different government programmes. This means PMKSY has to cover the remaining 47 million ha. “But no one knows exactly how much area is left to be covered under this scheme,” says S L Jain, former commissioner, Ministry of Water Resources, who was briefly responsible for the scheme. PMKSY being one of Modi’s pet projects, both water resources and agriculture ministries wanted to implement the scheme. As a result, the first few months after the announcement were wasted deciding on which ministry would implement the scheme. Finally, the prime minister awarded the scheme to the water resources ministry. Soon, the ministry said the scheme was too daunting and could not be implemented by it. “The then secretary of water resources Alok Rawat told the prime minister that his ministry was engaged in major and minor irrigation projects which include dams and canals. As a result, it did not have the expertise or the data to implement a micro-irrigation scheme that requires water and farming data at the panchayat level,” says a senior official of the water resources ministry on the condition of anonymity. The prime minister then decided to rope in three ministries to implement the scheme. On November 14, 2014, he conducted a meeting with senior officials from the rural development, water resources and agriculture ministries. It was decided that the agriculture ministry would spearhead the project with help from the other two ministries. The prime minister also suggested that PMKSY be implemented the way Pradhan Mantri Gram Sadak Yojana (PMGSY) had been done. The decision to follow the PMGSY pattern in implementing PMKSY is encouraging, but a lot needs to be done before that is possible. PMGSY, which has been reasonably successful in connecting remote villages with roads, was started in 2000. Its success rests on the decision to set up a special technical agency, National Rural Roads Development Agency, to implement it. The agency is headed by technical experts and surpasses the routine administrative mechanisms. Such a mechanism is missing in PMKSY. The Cabinet-approved decentralised state-level planning and district-level execution model will be supervised through the Prime Minister's Office. “We will form state-level planning committees under the chairmanship of chief secretary and district-level planning committee which will be headed by the district collectors. The district plans would give us a clear picture,” says Sinha. Mishra says PMKSY depends on district collectors. “If they take the scheme as routine work then it would not realise its full potential,” warns Mishra. The PMGSY did not have to go through this lengthy bureaucratic process. There is also little clarity on the roles the different ministries will play. An official from the rural development ministry says that there is already a series of schemes on irrigation and nobody knows where the new scheme sits. “There is the Accelerated Irrigation Benefit Programme that provides irrigation to the north-eastern states, other hilly states like Uttarakhand, Himachal Pradesh and Jammu and Kashmir. 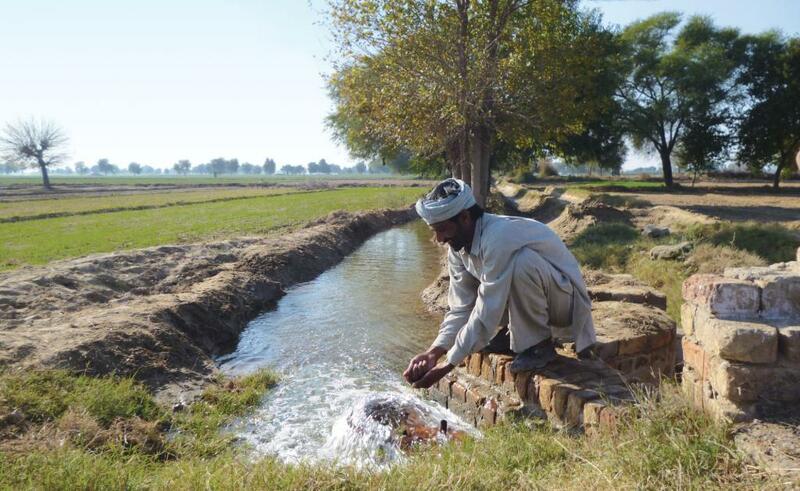 There is a separate scheme for irrigation facilities for the Integrated Action Plan districts that are affected by Left extremism or are droughtprone,” says the official. Besides, a lot of waterbodies are being created under the Mahatma Gandhi National Rural Employment Guarantee Scheme (MGNREGS) and the Integrated Watershed Management Programme. A rural ministry official says the agriculture ministry has assigned no task under MGNREGS, which can be used to employ village residents to construct the irrigation channels under the microirrigation scheme. The same sentiment is echoed by Jagdeesh Singh of Integrated Watershed Management Programme, when he says, “We do not have clarity over how to help PMKSY even after a number of meetings.” Officials also fear that despite the battery of meetings, the ministries are yet to find the right focus. The observation is not completely unfounded when one realises that instead of ironing the issues, the Centre increased funding to Rs 5,300 crore this financial year and assessed total outlay for the next five years as Rs 50,000 crore.